A man, a woman and their vehicle. 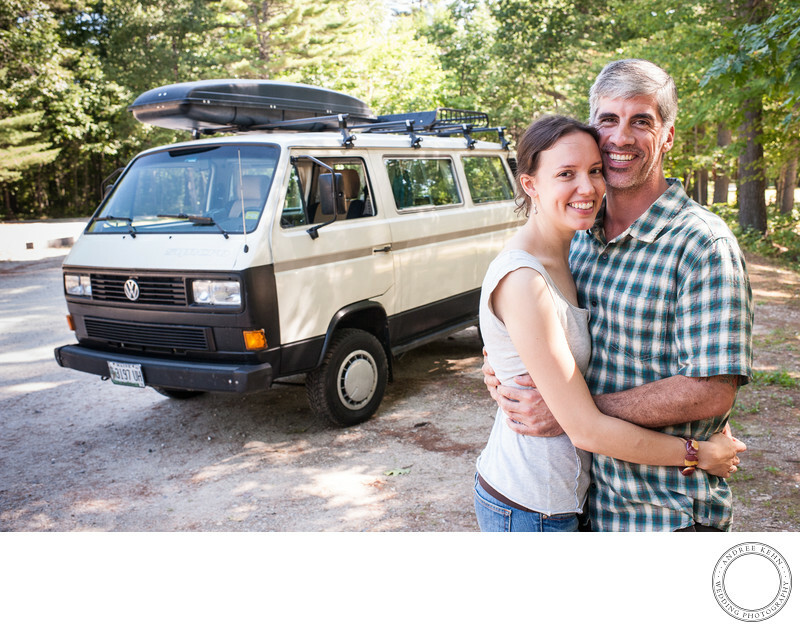 I am in love with Volkswagon vans, so when this couple drove up to their engagement session in Poland, Maine, in a vanagon, I was thrilled. We did a formal photo of the two of them in front of their van at the end of the session after they were relaxed in front of the camera enough to turn and face the camera without a shred of awkwardness. I love them! Location: Range Pond State Park, Poland, Maine. Keywords: Hana and Scott (24). 1/250; f/7.1; ISO 1600; 35.0 mm.